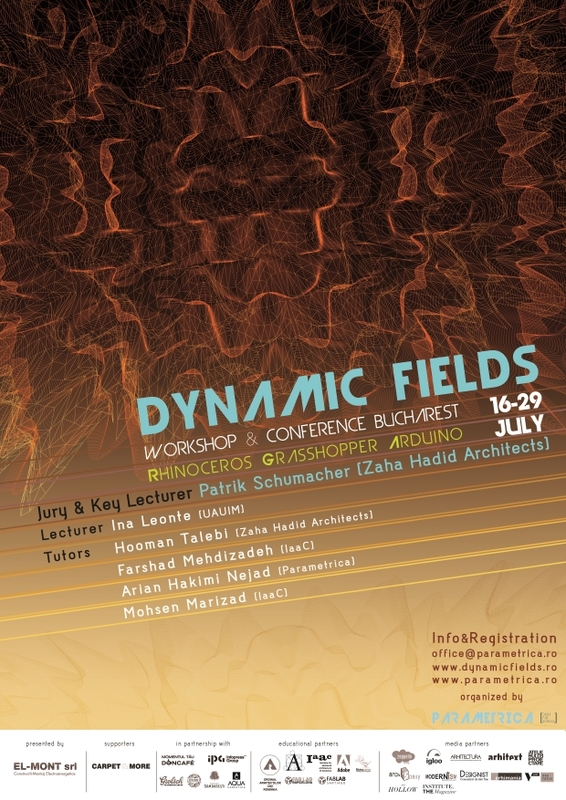 Parametrica [Digi Fab School] from Bucharest, Romania, invites you to DYNAMIC FIELDS Workshop and Conference (July 15-28, 2013) to participate in the digital design build project, seeking to create an inventive collaborative environment. The workshop is part of a series of PARAMETRICA events, promoting computational design thinking and exploring the new possibilities of parametric design. The future of structures lies in their ability to utilize and respond to the energy which exists in the environment surrounding them. In this 14-day workshop the various energy fields which exist in a given environment (wind, water, sun, sand etc.) will be identified, analyzed and then simulated, after which experimental structures will be generated and fabricated such that their performance will act as a continuous real-time response to these environmental parameters. 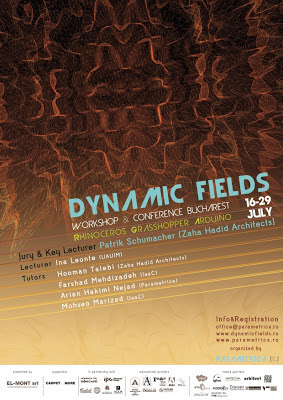 During this day we will present the final workshop projects and our special guest, Patrik Schumacher will explore the subject of computational design thinking and parametric architecture. The workshop objectives are two-fold. In the first phase the workshop focuses on the identification and analysis of resources inherent to the environmental context, thus developing a better understanding of their nature as well as optimized methods of use or response. In the next phase, the objective is to generate structures which through either means of fabrication or material properties can respond to, or utilize the environmental energy sources.